After teasing a reunion earlier this January and performing a short and sweet reunion tour throughout spring, beloved Los Angeles punk rockers the Distillers have returned with their first new music in 15 years with a pair of tracks. “Man vs. Magnet” and “Blood in Gutters” are a classic A-side/B-side single, following up the band’s acclaimed 2003 record Coral Fang. 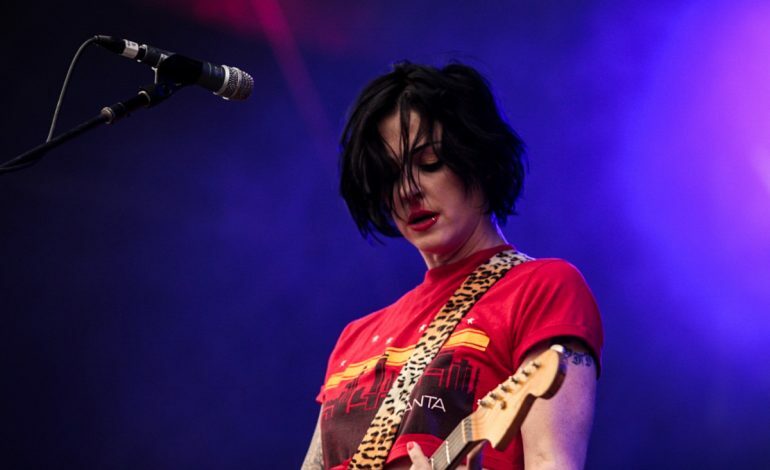 The “Fitzroy, Melbourne”-raised singer and guitarist Brody Dalle led the group of punks starting 1998, before breaking up in 2006. Dalle formed a sort of superband called Spinerette with Distillers guitarist Tony Bevilacqua, ex Red Hot Chili Peppers and Pearl Jam drummer Jack Irons and guitarist Alain Johannes from Eleven, Them Crooked Vultures and Queens of the Stone Age. Spinerette released a self-titled album in 2009, which was followed by a criminally underrated Dalle solo effort in 2014 titled Diploid Love. In fact, “Blood in Gutters” was originally released as a solo single by Dalle in 2014 before being re-recorded for the new single. The band is currently in the middle of another short West Coast tour alongside Starcrawler. They performed in Portland tonight, and will be heading down for three dates in California before rounding it out in Las Vegas on the 20th. Check out the new singles below.